Two of the hottest topics in healthcare right now are pricing transparency and data interoperability. Both are squarely aimed at dramatically reducing healthcare costs and increasing patient safety/health outcomes. In a fairly rapid sequence of events (by healthcare standards), pricing transparency is gaining momentum on it’s new trajectory. While we can’t tie this progress to the Affordable Care Act directly – it is welcome and important progress nonetheless. In March, Steven Brill published his now landmark healthcare pricing exposé Bitter Pill – Why Medical Bills Are Killing Us. The “chargemaster” pricing information he revealed was often shocking and always compelling but it wasn’t really enough data to apply to the whole system. If he referenced pricing from 20 hospitals (I didn’t count) I would be surprised. 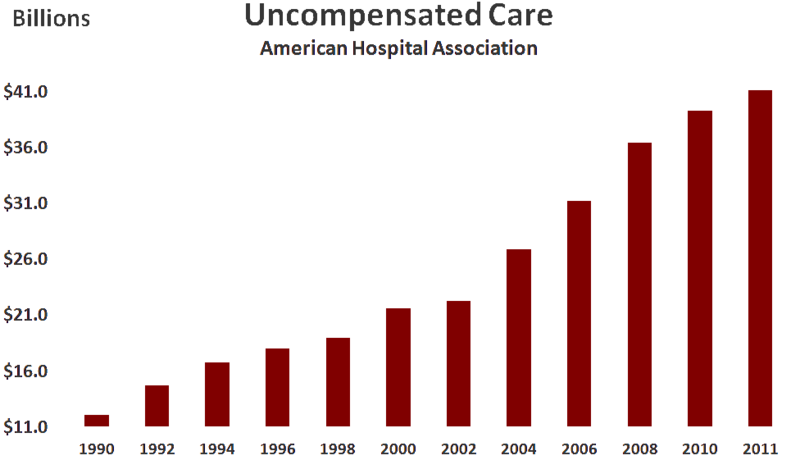 The American Hospital Association reports that there are 5,724 U.S. hospitals (here). The data provided here includes hospital-specific charges for the more than 3,000 U.S. hospitals that receive Medicare Inpatient Prospective Payment System (IPPS) payments for the top 100 most frequently billed discharges, paid under Medicare based on a rate per discharge using the Medicare Severity Diagnosis Related Group (MS-DRG) for Fiscal Year (FY) 2011. These DRGs represent almost 7 million discharges or 60 percent of total Medicare IPPS discharges. This was the systemic proof that was lacking in Brill’s article. Not surprisingly, the critics were vocal and many. In general, they said that “chargemaster” pricing was totally irrelevant and useless. They correctly said that “chargemaster” pricing is never applied directly to either Medicare patients or to those with insurance. While $41B may seem trivial compared to our annual National Healthcare Expenditure ($3 trillion) it is absolutely relevant to ALL of us because that $41B is ”cost-shifted” directly to negotiated rates with private insurers. In fact, contrary to the view that the hospital “chargemaster” is some antiquated and unused relic from the archives of a hospital billing system – Chargemaster Analyst or Chargemaster Auditor is a very real title in the accounting departments of many (if not most) hospitals – and there are active job openings with that exact title (sample here). No, the hospital “chargemaster” is a very real accounting function and vocation. He’s not talking about “chargemaster” rates here. These are the contractual rates that the hospital has negotiated with the insurance companies. You know, the secret ones. Here’s my commitment. I’ll publish (or link to) those rates when they do become public. The article then focuses on the wide range of costs across the U.S. for a routine colonoscopy – from about $1,800 in Baltimore to almost $8,600 in New York City. A difference of almost $7,000 for the same procedure at locations that are less than 200 miles apart. There will always be critics. This data is a small fraction of the amount needed to make a difference – let alone influence a market – either regionally or nationally. Certainly data from one hospital in Miami isn’t that applicable to others and chargemaster pricing isn’t representative of the bulk of hospital pricing. The criticism is easy – but also short-sighted. My view is different. Someday I think we’ll look back on this point in time and recognize it for the real milestone it represents. 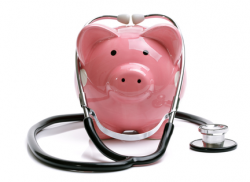 The beginning of the end of healthcare pricing secrecy here in the U.S. In and of itself, that’s an important objective – and a critical goal on our way out of the healthcare cost wilderness. Not because it highlights the insanity and dysfunction of our current system (which it does), but because it’s an integral part of the most critical component of any and all patient-provider communication. Trust. Two Pills, $200,000, Can We Afford it?